2,391 species and lesser taxa. 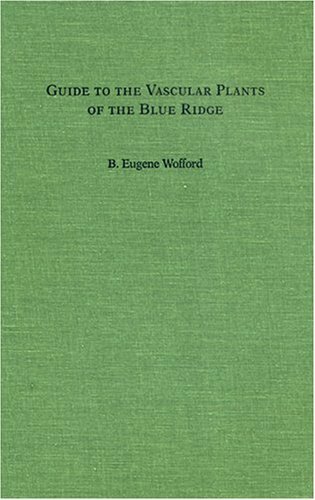 Among the flora to be found in the Blue Ridge are a number of species that have been identified as rare or endangered. The volume contains an introduction instructing readers on the use of the guide; a glossary of terms with selected illustrations; a map of the region; a key to the major plant groups; and keys to the Pteridophyte, Gymnosperm, Monocot, and Dicot families as well as to genera, species and lesser taxa. The species and lesser taxa enumeration following each genus contains the scientific name, common name or names, general habitat preferences, frequency and area of occurrence, flowering or sporulating periods, and pertinent taxonomic and nonmenclatural synonyms.The keys for identification rely primarily on easily identified flowering or sporulating material and can be interpreted by all users, from beginners and amateurs to experienced professionals.